ConnectCode Text Manager is a useful add-in for Microsoft Excel that enables working with text. It allows you to easily make text modifications to your existing cells, range or entire worksheet. Changing a range of cells to different case, removing specific special characters(multiple characters) and trimming the cells can all be carried out very effectively and easily. This Add-in also allows you to concatenate several cells together and add spaces for the text of the cells. This is a must have Add-in if your daily tasks involve working with text in Excel. It will definitely save you many hours of tedious work. · Range - Click on Range and then do a select of cells in Excel. All the selected cells will applied with the Text operations mentioned below when the Apply button is being clicked on. The unregistered version comes with a maximun 10 cells restriction. · Entire active sheet - Select this option for the Text operations to be carried out on the entire worksheet. · UPPER CASE - Change all the text in the selected cells to upper case. · lower case - - Change all the text in the selected cells to lower case. · Proper Case - - Change all the text in the selected cells to proper case. This means the first character of every word will be in upper case while the rest of the characters of the same word will be in lower case. · Choose Character(s) - Select one or more characters from this box and click "Apply" to remove the unwanted characters. · Specify Character or Text - If you select this option, click on the "Apply" button to specify the characters to remove. Alternatively click the "Character Map" button and copy the character from it, then click "Apply" and paste (Ctrl+V) in the characters. · Match Case - Match the case in the cell exactly before removing the characters. · Whole Cells - Remove the specified text or characters if they occupy the entire cell. · Left Trim- Remove all the leading spaces. For example, " The quick fox. " becomes "The quick fox. ". · Right Trim - Remove all the trailing spaces. For example, " The quick fox. " becomes " The quick fox.". · Left & Right Trim - Remove all the leading & trailing spaces. For example, " The quick fox. " becomes "The quick fox.". · All Trim - Remove all the leading, trailing & excess spaces. For example, " The quick fox. " becomes "The quick fox.". You cannot download any crack or serial number for ConnectCode Text Manager on this page. Every software that you are able to download on our site is legal. There is no crack, serial number, hack or activation key for ConnectCode Text Manager present here. Our collection also doesn't contain any keygens, because keygen programs are being used in illegal ways which we do not support. All software that you can find here is freely downloadable and legal. ConnectCode Text Manager installation package is prepared to be downloaded from our fast download servers. It is checked for possible viruses and is proven to be 100% clean and safe. 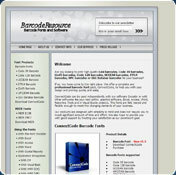 Various leading antiviruses have been used to test ConnectCode Text Manager, if it contains any viruses. No infections have been found and downloading ConnectCode Text Manager is completelly problem free because of that reason. Our experts on malware detection tested ConnectCode Text Manager with various spyware and malware detection programs, including fyxm.net custom malware and spyware detection, and absolutelly no malware or spyware was found in ConnectCode Text Manager. All software that you can find on our servers, including ConnectCode Text Manager, is either freeware, shareware or open-source, some of the software packages are demo, trial or patch versions and if possible (public domain licence), we also host official full versions of software. Because we want to be one of the fastest download sites on the web, we host all the software including ConnectCode Text Manager on our servers. You cannot find here any torrents or download links that would lead you to dangerous sites. Rate ConnectCode Text Manager 1.0!